Music | Exclaim: You're Alive! For a few years now Ha Ha Tonka has kind of been our little Ozarkian secret. Not that we were trying desperately to keep it that way, in fact I for one have been starting blazes wherever I could hoping to watch the wild fire burn. It’s been a privilege knowing these guys since 2004 when they were still learning how to walk as a band, then under the name of Amsterband, and it’s hard to imagine it has been 7 years, a name change, a record label, and 3 albums since that day I first saw them play. Finally it appears all my hard work setting fires has paid off… 🙂 haha, ok so I don’t have much to do with it as their music speaks for itself and if you happen to catch these guys live you’ll be hooked as soon as your foot starts stompin’ and you can’t help but sing along as the guys are belting out the chorus. After two previous album releases I’ve seen the fan base grow a little each time, but Death of a Decade seems to be grabbing the attention of music junkies nationwide as their album showed up on the Billboard 200 at #185 and the Billboard Heatseekers Chart at #4 the week it was released. So it’s pretty safe to say it’s time to share our secret with the world. If you asked me, it’s about damn time! Click Album Cover to go to it’s Amazon Page. NSotNS had this haunting, timeless feeling to it. You can tell this album was kind of experimental for them. They did a lot more playing around in the studio with different sounds which becomes very apparent in the song “What Shepherds of These Hills? 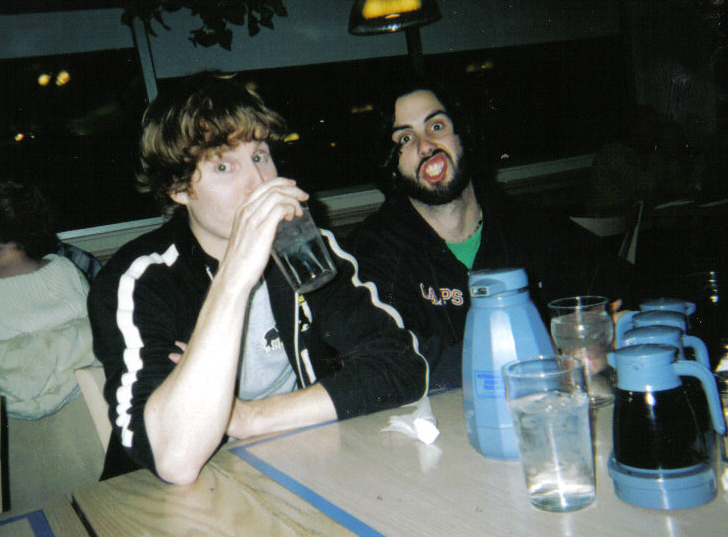 !” Though I think of this album as their softer album, that doesn’t mean they don’t get rowdy. The songs on this album seem to have a lot of ups and downs. They’re melodic and putting you to sleep at one point and the next thing you know you’re being awakened by some gritty guitar and hollering lyrics. I for one really loved the movements in these songs. It kept them interesting and gave them depth. So that gets us to the third album released through Bloodshot Records, Death of a Decade. I can easily say I think this is the best album they’ve produced. It shows just how much they’ve matured and grown into the their sound, which is hard to place into one specific genre. This album I feel goes in a more bluegrassy-rock direction than the last two because of the heavy influence of that little 8-stringed instrument known as the mandolin. Brett Anderson drives many of the songs on this album with some great mandolin riffs that are quite catchy by themselves. Luke Long’s bass vocals have improved and were much more noticeable, making the four part harmonies really stand out as a whole. Brian Roberts’ writing just keeps improving too. I love the lyrics and the unique way Brian delivers them. He has some really catchy lines on this album. Lennon Bone makes the songs come alive with his creative drumming and I love that he’s not afraid to stop playing and let the songs breathe for a bit. I can tell this album was very well thought out, yet it still manages to keep that simplistic feel to it; it’s not over produced. From start to finish you can’t help but bob your head and tap your foot. See them live and it’s a whole different story. Bring your dancing shoes. Ha Ha Tonka, “Usual Suspects” from Bloodshot Records on Vimeo. The songs are listed in album order. The number associated with the track is the order of my favorites, 1 being favorite. Usual Suspects (9): This song starts the album off giving you a sense of what’s to come. Starting with that driving mandolin and an infectious beat that gets your blood pumping and your legs moving. It also introduces you to some of the clever lyrics you’ll be hearing along the way, “100% I am made of cotton. I shrink when I sink in hot water. That little girl, so hot she’s scalding. Ain’t gonna be nothing left of me.” Usual Suspects is a great opener to the album that rocks you from start to finish and leaves you eager to hear more. Westward Bound (10): This song has a coming of age feel to it as Robert’s belts out, “I realize the youth is wasted on the young. Oh, I know I’ve wasted more than some…Oh, I know that now my wasted days are done.” Toned down a bit from the soaring Usual Suspects this medium rocker shines when the anthem like chanting of “Na Na’s (or maybe it’s La La’s)” comes in while Robert’s sings, “Hard times, we left ’em back east. And the future moves under our feet.” You can almost see Roberts smiling as he sings this song and it leaves you with a hopeful feeling about the future of this band. Made Example Of (3): This is one of my favorite tunes and I think one of the catchier songs on the album. It’s another track that’s really driven by the mandolin and the drums that kick it off just after the brief intro. The mandolin riffs are almost eerie on this song and it consists of some of my favorite drumming and it’s great example of that breathing I was saying Bone lets the songs have. It has one of the simplest statements in it, but it’s so deep at the same time, “If you don’t change where you’re going, you’re gonna end up right where you’re headed.” You gotta do something if you expect a change. Jesusita (5): This song starts out with some simple guitar plucking and 4 part harmonies with Long’s bass vocals really standing out. The guys all pleading, “Heaven help us now!” Then it kicks it up a notch when all the instruments come in and everyone starts chanting some “OHOooOOos.” Lyrically this song is a bit dumbed down from Roberts usual deep and rhythmic writing, but you can’t help repeating with them as they sing that haunting chant over and over. Dead Man’s Hand (11): I’m usually a pretty big fan of Anderson’s lead vocal songs, but this one just didn’t do much for me. It’s by no means bad, there just doesn’t seem to be much about it that really stands out to me and makes me seek it out to listen again. I still don’t pass it up if I’m listening to the album though. I do really like the opening, but it just doesn’t seem to go anywhere from there and the song seems a bit repeated. I do love the lyrics, “We got drunk off a whiskey blend. They’re all the same when you can’t stand.” I feel like I’m really bashing this song, but I really don’t mean to. Anderson’s high vocals do shine and there is some great harmonizing. Just cause it’s my least favorite on the album doesn’t make it bad, it’s still a great song. The Humorist (6): Knowing Roberts I’m sure this song is a bit of a tribute to Missouri writer and fan of Ha Ha Tonka, Mark Twain. Ok, so maybe he’s not a fan, but I’m sure he would have been if he had heard this song. This was another one that took several listens to really appreciate. I’m pretty sure it was the chanting towards the end that really won me over. “Tell me how deep that river is. Tell me how deep that river is. Say my name. Say my name. Everybody yell Mark Twain. Ain’t it entertaining, isn’t it appealing, the thought of something’s always much better than the feeling.” This electric guitar driven song was a great way to end the album. 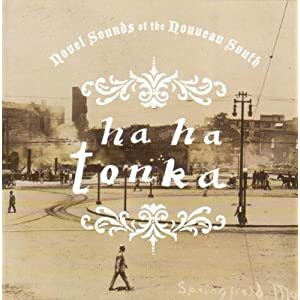 After putting out 3 very different albums it’s hard to tell where Ha Ha Tonka music may be a year from now, but I can only imagine wherever it is, it will be fresh, exciting, and in my CD player for months. Whatever you do, don’t keep these guys a secret. 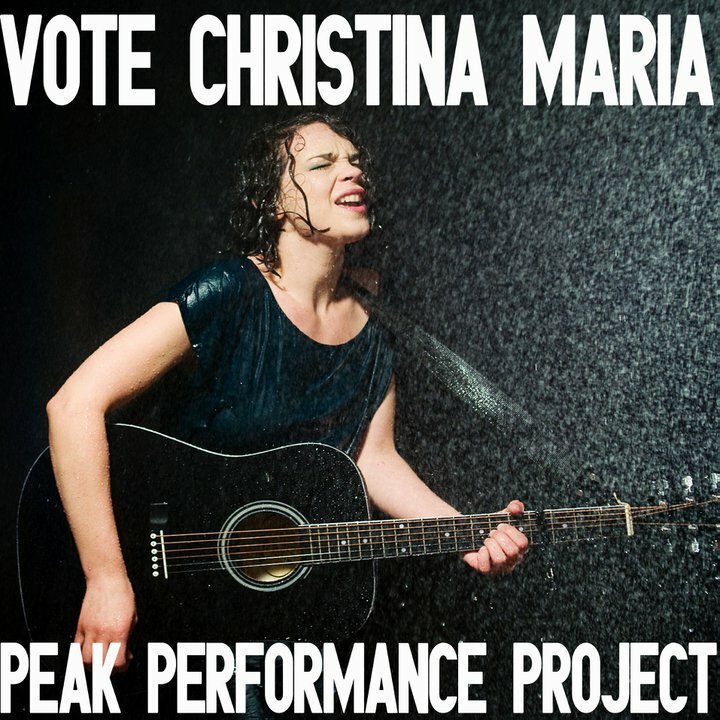 You may recognize Christina Maria from a few weeks back when I wrote about her for the Song of the Day. Now I write about her again, well, because her music is worth another listen for one…AND for two she is currently in a competition in Vancouver put on by a local radio station called The Peak 100.5. The Peak sends 20 local artists through a boot camp called the Peak Performance Project. 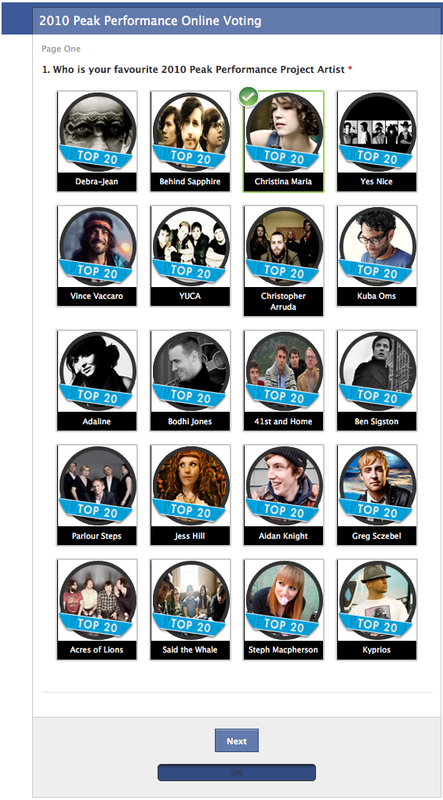 At the end of boot camp the 20 artist can be voted on and the winner gets $100,500!!! 2nd is $75,000, 3rd is $50,000, 4th is $10,000, 5th is $5,000. Since this is a Vancouver based radio station I imagine that’s Canadian Dollars, but still…we are talking a significant amount of money to help launch this young ladies musical career. You can skip the rest of this if you’d rather just watch me explain it in this YouTube video…or you can do both, but you’ll probably find the information in both places. There will be plenty of links in this post and in the description box of my video. 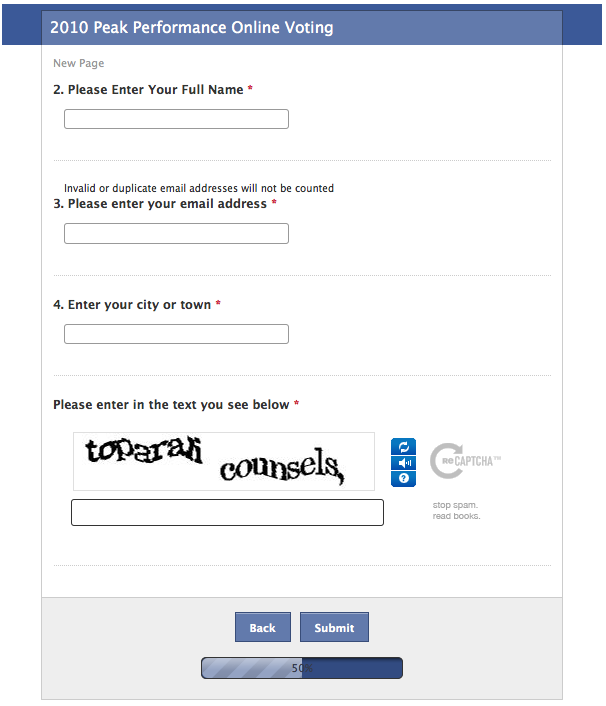 And to verify you have blood running through your veins and aren’t a robot voting machine a Captcha will ask you to type the words you see in the image. Click Submit and you are done! Thanks so much for helping. Christina will personally thank everyone with cupcakes in a door to door tour across the word if she wins. Ok, I made that last part up, but if you truly love the music you hear from her and want to hear more then this money would really help! Feel free to share this contest with others. Link my blog, or her Facebook Event, or my Video…or anything that could possibly bring some more votes her way. Well, apparently I’m not so good at this blogging thing as I’m routinely missing my Humpday Song of the Day! So here I am playing catch up again. Got two for you today. One I was just recently exposed to by Christina Maria, the Canadian women that was in my last post. And the other was shared with me by an old Australian friend many years ago. So let’s start with the new. The song is called Beast and it’s by a Swedish Folk singer named Nina Kinert. Wow, just wow, what a great voice and a kind of haunting simple song played on the piano and accompanied with some strings. I can’t wait to delve deeper into this artists music. Unfortunately her newest album can’t be found on iTunes. Found this cool live version. The only album version on YouTube was a still shot of the album cover and that bores me! Now on to the next treat for the day. This song is called Pollyanna and is by a band that broke up in 2005 named Northstar. 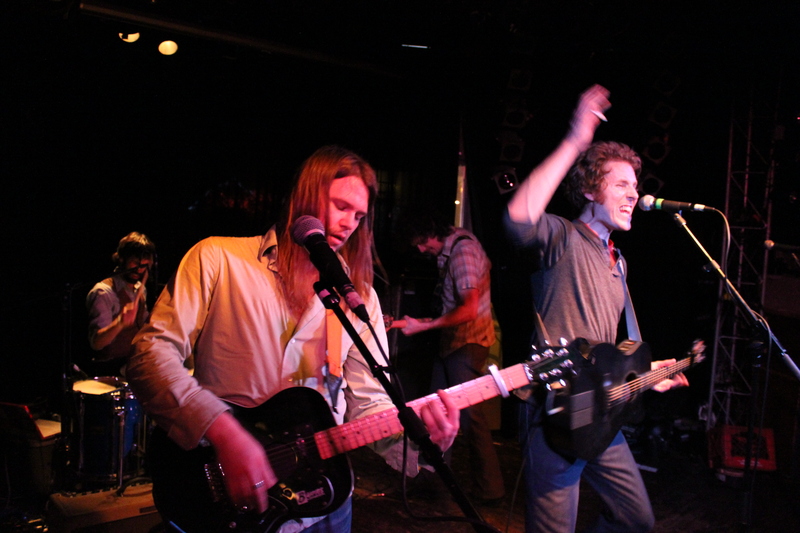 Two of the members of Northstar have gone on to form the band Cassino. 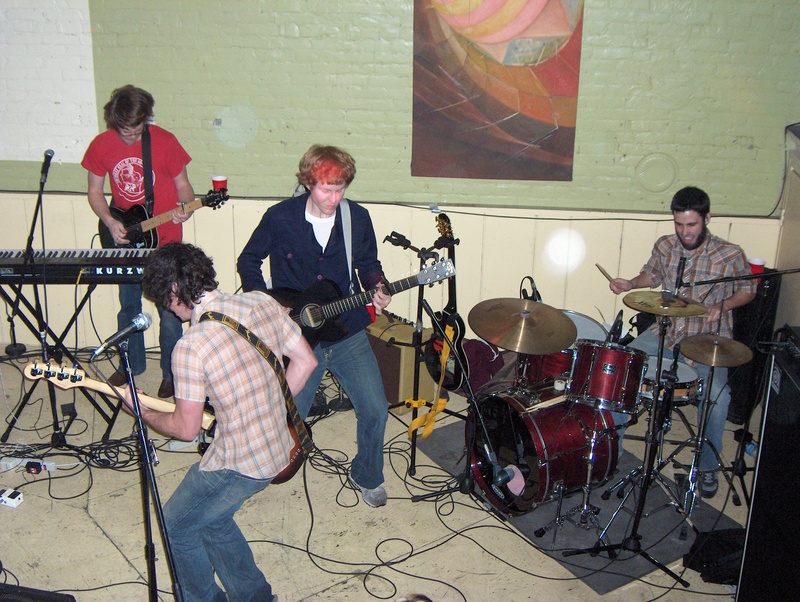 Northstar was kind of a high energy alternative rock band with some catchy songs. Even though one of their favorite songs of mine is more of an acoustic ballad called Two Zero Two I wanted to show you their fun side. Why they never got as big as some of the bands they used to tour with is a mystery to me. Sorry, couldn’t find a more interesting video for this song. Plain album cover with music. Once again I got behind last week. I was all about the Blog Contest that my friend had entered and didn’t get around to posting anything else. So here’s another Twofer Song of the Day! I love spreading the word about musicians that have tons of talent, but aren’t known by hardly anybody. Here are two greats I’ve found via YouTube. The first is Christina Maria and I couldn’t decided between here songs so I’m gonna share two! She’s a young and talented musician with a great voice. She’s Canadian and loved to travel which is apparent from her YouTube videos. Her music is a little bit folky, little bit jazzy, and a little bit bluesy and her vocals are soulful, and I loved how I read someone describing her, seductive. 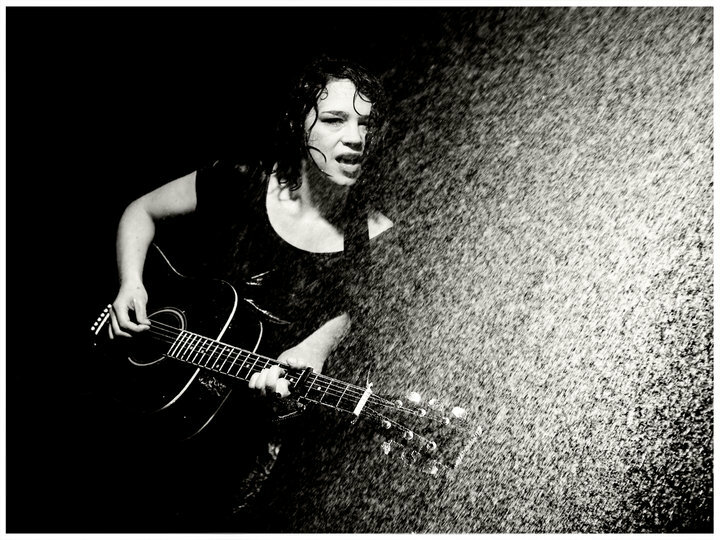 She just has one of those voices that is kind of timeless. It’s a bit of a fluke how I came across her channel. It started when I was searching YouTube for Rafe just to see what videos of mine came up or possibly trying to find my IamRafe channel and I came across a Canadian guy who plays music and promotes other bands on YouTube and his name just so happened to be Rafe. His channel is Rafem and he occasionally posts videos by other musicians to get the word out as his YouTube channel is kind of popular. Well one of those videos was one by this young lady and I was blown away…though I think I was hooked before I even heard her sing. Watch this video and tell me that isn’t the coolest entrance ever! I’ve since subscribed to her channel and purchased her latest album on iTunes which is great. Here is the title song from that album and a pretty cool video too! This is a fast paced fun little one! Next up is Tyler Slemp. 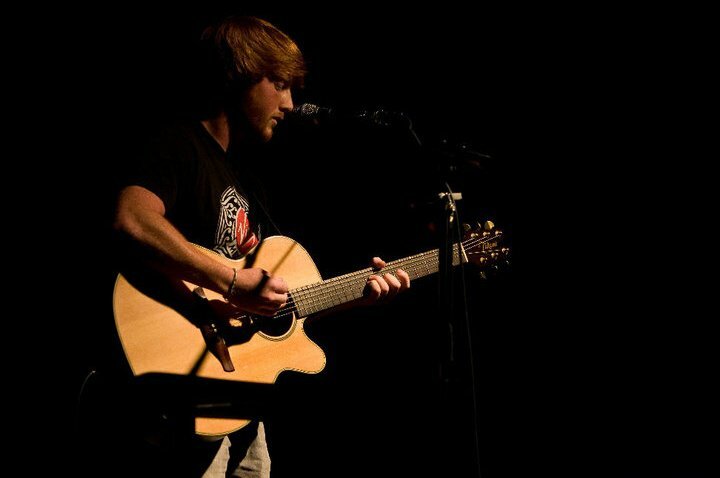 An Oklahoma native who I happened across when another YouTuber I follow did a cover of one of his songs which is still one of my favorites. Come to find out one of his best friends played golf for Drury and I had hung out with a few times. Tyler writes amazing lyrics which have a way of putting you right into the stories they tell. He’s got a soothing voice that could put you to sleep if he didn’t put so much emotion into his singing. Stealing another quote from a bio I read that was taken from the producer he’s currently working with. “He is one of the few singers on this planet that can convey the same emotion in the vocal booth as he did the day he wrote the song” This couldn’t be more true. You can listen to any of his YouTube videos and just hear him pouring his soul into these songs….well maybe not all of his songs as he has a couple that are just for SnG. Unfortunately I don’t think any of his songs are for sale yet, but he’s been in the studio and is trying to finish up the album any time now. Was supposed to be done in July, but I think something came up with his car or something and alot of the money he raised for the album had to be spent elsewhere. Check out his Facebook page and see if you can’t donate so he can finish this album! Here is another one of my favorites. And how could I not post this one. We share the same love of Zooey Deschanel. I missed last weeks Song of the Day and thenn promised 2 Songs on Friday and failed again to get that out. So I’m going to be posting 3 Songs today. To cut down on the size of this post I’m only posting the chorus to each song and two links to the bands. Just recently got into The Black Keys and they’ve been blowing me away. There is just something timeless about their sound. Bluesy, Rocky, Soulful! I like so many of their songs, but because of lack of a good video on the one I wanted to pick (10 Cent Pistol) I decided to pick Too Afraid to Love You. Still a great song! Mumford & Sons is another relatively new band that has found it’s way into my rotation. Talk about some great folky, bluegrassy music with a nice kick of rock! 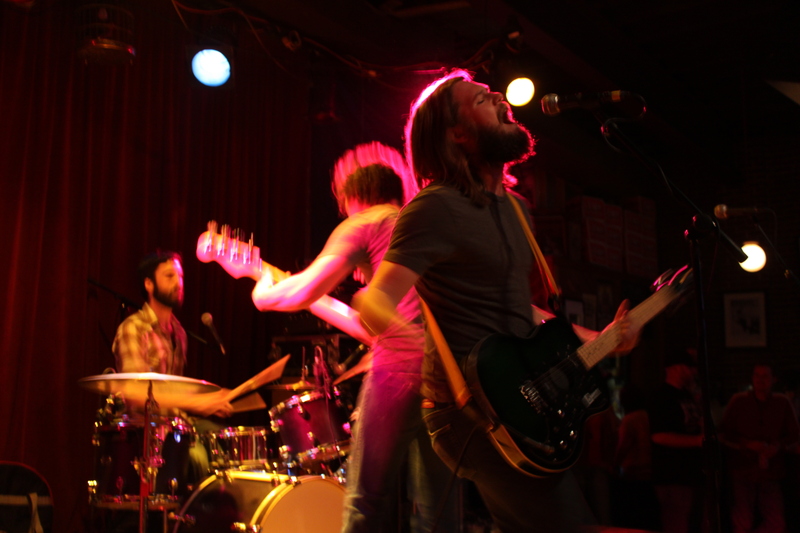 The way they pull off the slower songs and really rock out on some really reminds me of my friends from Ha Ha Tonka. One thing that is so cool about these guys is the fact that they have no drummer. 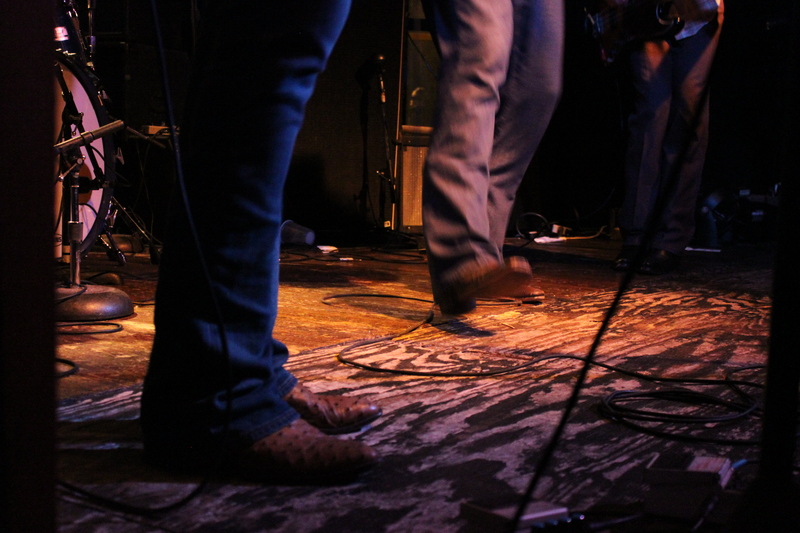 The lead singer has a kick drum for his right foot and a tamborine mounted to a pedal for his left foot. Plus, their banjo player has to have one of the coolest banjos I’ve ever seen. I didn’t know they even made them in anything other than the basic round ones. Anyway enough talking. Also, I couldn’t not post this video too. It’s Awake My Soul again, but it’s been chopped down some and set to some clips to one of my favorite movies. Eternal Sunshine of the Spotless Mind. Apparently this is the update that includes bands I’m just now starting to fully appreciate. Broken Bells is another one of them. This time I randomly came across them while browsing SXSW videos. They are a bit more experimental, using strange sounds in some of their songs. Almost techno type sounds, but they are much more melodic than your average techno song with one line being repeated over and over. 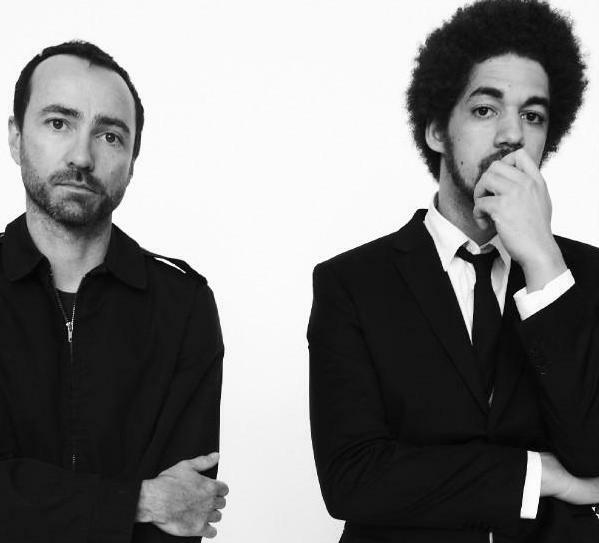 While looking them up on Google I found out that the band consists of Brian Burton, of Danger Mouse, and James Mercer, the lead singer of The Shins. If you know the shins you know Mercer has quite the distinct voice, very pleasant to the ears! Burton has also produced for Beck, the Gorillaz, and The Black Keys (Coineciendence they happen to be featured in this post…yes, ironic..yes) so you know the quality of their sound is top notch. Here is a strange video to one of my favorite songs off their debut album. It’s here it’s here! Humpday Humming…ok this isn’t much of a song to hum to, but I felt like busting a move instead! I can’t believe it’s been a week since my last post. Whoops sorry. My last post was last weeks song of the day. Anyway, upward and onward! Love me some Motion City Soundtrack! I’ve been picking a lot of slower acousticy type stuff that is probably boring you to sleep at your office computer! So here’s a little pick me up for your Wednesday…let’s get you over that hump and ready for the weekend! This band is a much more energetic band than the last few I’ve posted and if you are familiar with more popular music you’ve probably heard of them. If you haven’t then I’m ashamded to be your friend…JOKES! All is well though, cause now you are going to get a chance to check them out. Also from now on when I post my song of the day I’ll be posting the current position that band is in on my Top Artist on Last.fm as well as the number of plays by that band. Stats will look like this. What’s up with Will and Grace? Yeah, ‘cause we can get down.